The New Zealand publishing scene is blooming, not only with enthusiasm for local authors, but also as a market for international fiction, as Debra Millar, publishing director at Penguin Random House New Zealand (PRH NZ), explains. Though at 4.4 million the entire country's population is only about half that of London, the NZ market can be a boon for international authors. "We welcome the sales that we get from international titles," says Millar. 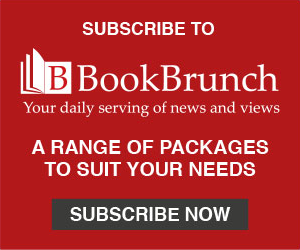 "At Penguin Random House we're really fortunate to have such a strong list of internationally published titles that we represent in this market." Even so, deals are managed with relatively little direct publisher contact through fairs or exhibitions. The Publishers Association of New Zealand (PANZ) cites the Taipei International Book Exhibition (TIBE) as the closest regional book fair, though PRH NZ did not attend this year. "My rights sales are actually managed through Australia, so we don't tend actually to go to those Fairs," Millar says. "We rely on our Australian colleagues, who are going to those events anyway, to represent us." The same set-up happens for Bologna and the London Book Fair (LBF). "It's just a very expensive exercise for us to travel all that way to the other side of the world!" Millar explains, of LBF. It's true that New Zealand is one of the most isolated countries on the planet, and is certainly the most isolated country of any significant size. "Nearby" Australia is three hours' flying time away at its closest points, whereas if you were to fly three hours from London, you could reach destinations as varied as Libya, Belarus or Greece. This isolation drives up the prices of books. Although Millar maintains books remain a relatively cheap form of entertainment for New Zealanders, "Of course they cost more than they do in other countries, because they have to travel so far to get here from where they are printed in China." Even so, Millar says she does not feel this isolation, and that it is not a factor that holds back the market. "The benefit is that it fuels our non-fiction market. There is a hunger for New Zealanders reading about themselves, and about this place - we have a very strong sense of place. We really feel that we have a unique culture and a unique set of circumstances. The telling of New Zealand stories is very important." This attitude also helps support a flotilla of independent and small publishers, who are growing in strength and number across New Zealand every year. 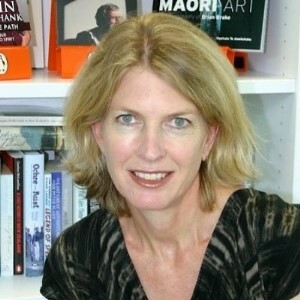 Millar manages the "local titles" at PRH NZ, the books that are written by New Zealand authors and published by New Zealand publishers. For PRH NZ, this makes up between 60 and 70 titles a year, including non-fiction, fiction and children's. Local titles make up a quarter of all the books published in New Zealand each year. Non-fiction accounts for about 80% of the sales of local titles. In fact, local publishing is notably stronger than the international market when it comes to non-fiction sales: "Non-fiction often relies on local relevance and local identities, particularly when you think about cook books or biographies," Millar explains. This local culture is an interesting mesh of traditions, not only from the immigrant European culture and the original Maori one, but also, increasingly, from other countries. "The makeup of our population in New Zealand is changing quite quickly, so we have a much larger share of people of Asian origin in our population than we've had previously," says Millar. "Probably as publishers we don't consciously cater for that market, and that's something we're becoming more mindful of and need to address. At Penguin Random House, we have quite a strong New Zealand publishing programme that represents Maori culture. We publish very few titles in the Maori language, but we have a very strong backlist that caters to Maori culture and customs, particularly in children's books." New Zealand booksellers are particularly supportive of local authors. "What local publishing can deliver to the market is local personalities who can actually engage with readers and maintain a presence," says Millar. This is true even in the face of New Zealand’s growing literary festival scene, spearheaded by Auckland Writers' Festival, which happens every May and attracts a strong line-up of international and local authors. "It's gone from strength to strength in recent years," Millar says. "It's fantastic for us as publishers to have an event like that really shines a spotlight on literature." When it comes to fiction, the New Zealand market is dominated by international sales. Movement the other way is trickier. PRH NZ does sell international rights, but Millar says this only happens with a small percentage of its titles - for example, with the Hairy Mcleary series by bestselling author Lynley Dodd. Warehousing is in Australia. "The larger publishers have been serviced out of Australia for quite some years now," Millar explains. "There is some warehousing in New Zealand but the international publishers who have a presence here, tend to have their operations based in Australia, because we can fly books across quite quickly." What's striking about the New Zealand publishing scene in comparison with the UK industry is that it seems contented. Nobody is running around with angst about digital or problems with print: though it sounds a cliché, New Zealand is, on the surface at least, just more laid back. This might be in part because digital developments and Amazon are still in their infancy in New Zealand. Though Millar can only comment on how PRH NZ handles its local titles, she says that though print titles are available to buy online through Book Depository, for example, they are not through Amazon. "They're available through Book Depository simply because our titles are warehoused in Australia," she explains. "That may change, because Amazon are looking to assert a stronger presence in Australia. Certainly, our ebooks are for sale through Amazon, but ebooks still represent a very small portion of our sales. We publish a lot of illustrated or colour books, so of course ebooks don't offer an effective solution for that publishing. "I don't think there are any issues that are industry-wide threats," Millar continues. "Obviously, Australia's been very focused on parallel importation and the open market, which we already have here, so we don't see that as a threat." New Zealand enjoyed strong growth in 2015, but this "softened" in 2016, with sales declining 6.4% in volume and 3.1% in value. Notably, local titles held up well during this shrinkage, declining by only 3.2% in volume and 2.1% in value. "It was probably hard to sustain what we achieved in 2015," Millar reflects . "At Penguin Random House, we actually had a particularly strong 2016 for our New Zealand list. We had the number one-selling local New Zealand title, a cookbook published with Chelsea Winter, who is the number one-selling cookbook author in New Zealand. We're also really fortunate to have a very strong backlist." The biggest challenge, Millar maintains, is of printing and quality. "The quality of New Zealand publishing is getting better all the time, but my biggest challenge is small print runs whilst trying to achieve very high production values on our illustrated books. Our books are printed in China and our print runs are not large. I think more than ever, it's important to produce a beautifully packaged book, especially if it's a book with a high price point. "New Zealand books are relatively expensive compared with other countries, so what we produce needs to really support the price point, and that can be tricky when you've got a relatively modest print run. The costs for us of producing a book are no less than for a publisher in the US or UK who might be printing 200,000 copies." This is one market, it seems, where print is still king.